Native to western Asia and Europe, perennial sow thistle was most likely introduced as a seed contaminant. It was first recorded in Pennsylvania in 1814. 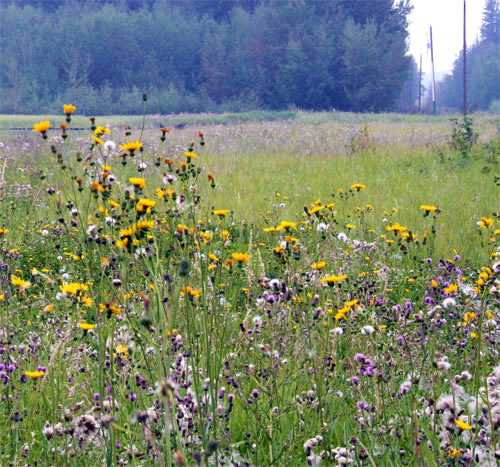 Perennial sow thistle invades disturbed areas, roadsides and farmland. It is an aggressive agricultural weed that reduces crop yields. 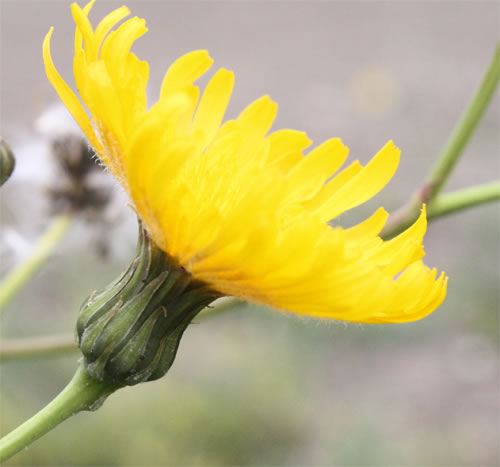 Perennial sow thistle has yellow, dandelion-like flowers that are grouped in loose clusters at the ends of stems. Flowers grow up to 5 cm wide. One plant may have up to 20 flower heads, but only a few are in bloom at one time. The leaves are lance-shaped or lobed, alternately arranged along the stem, and have a waxy appearance. 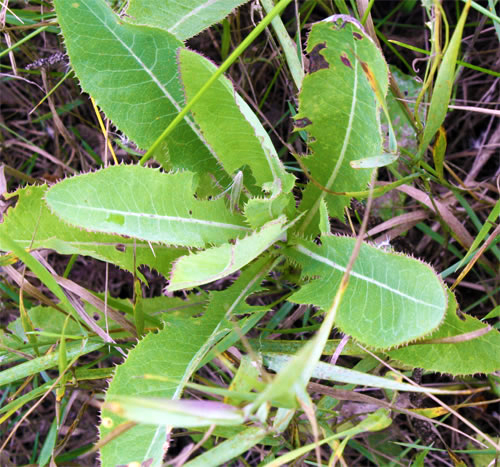 The leaves have a prominent light green middle vein and spiny toothed edges. Stems are erect, leafy at the base, branched at the tops and grow from 10-120 cm high. Cut stems exude a milky juice.